We’d love your help. Let us know what’s wrong with this preview of The Cabin Boy's Treasure by J. Lasterday. Ben wanted a fun vacation, but a pirate ship may be too much adventure! While on a boring family trip, Ben suddenly finds himself on a pirate ship! Worse, the pirates think he’s a stowaway and order him to walk the plank! 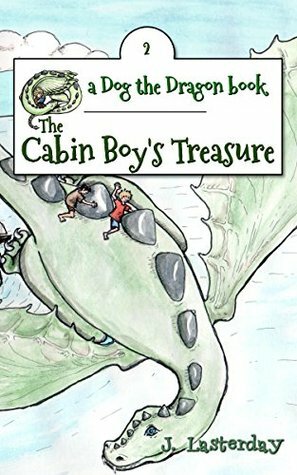 With his magical dragon nowhere to be found, Ben must outsmart the pirates and rescue the cabin boy held prisoner. But the pirates want their treasure an Ben wanted a fun vacation, but a pirate ship may be too much adventure! But the pirates want their treasure and Ben is in their way. Where is Dog the Dragon when his boy needs him most? To ask other readers questions about The Cabin Boy's Treasure, please sign up.